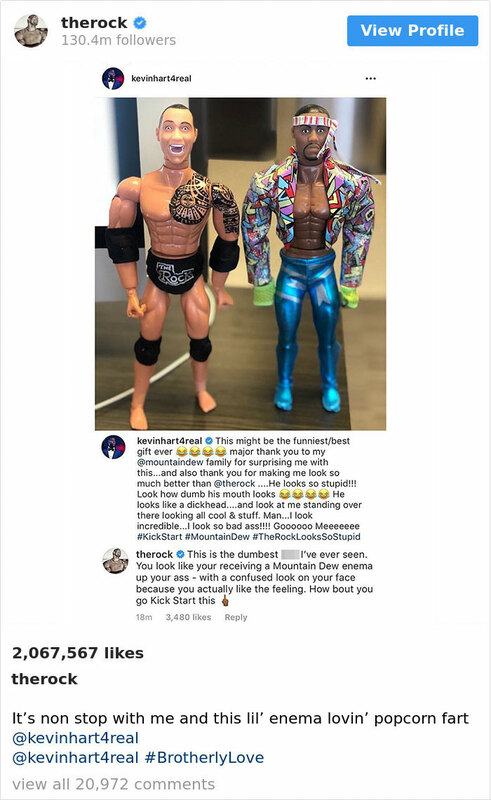 Ryan Reynolds and Hugh Jackman have such a strong bromance, they just can’t hide it. 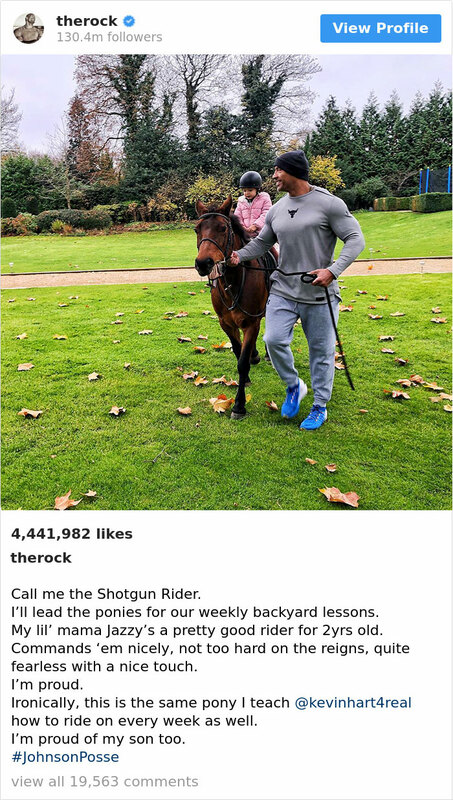 But they aren’t the only Hollywood duo that express their feelings on social media in the hilariously obnoxious way that a teenage couple who have been in love for two minutes totally would. 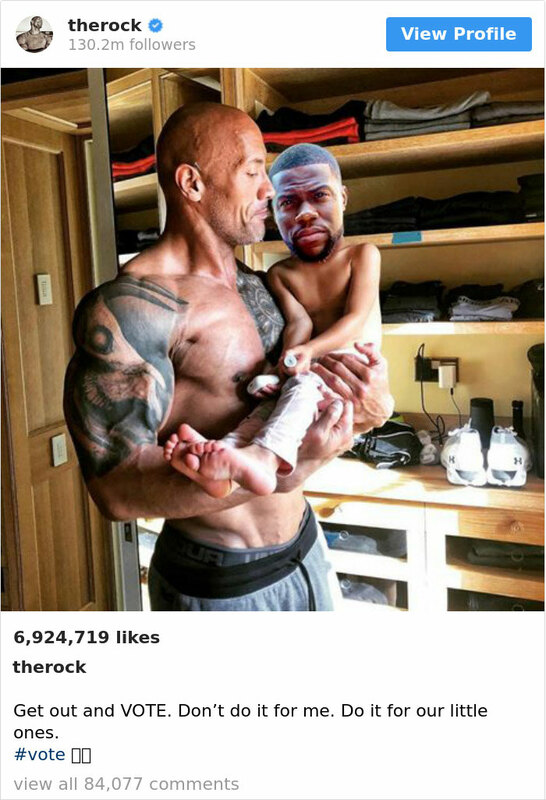 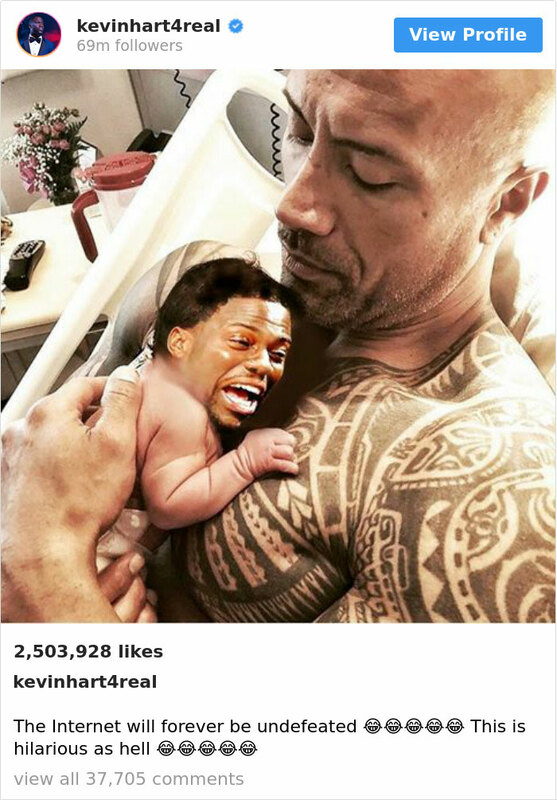 Enter Kevin Hart and Dwayne “The Rock” Johnson. 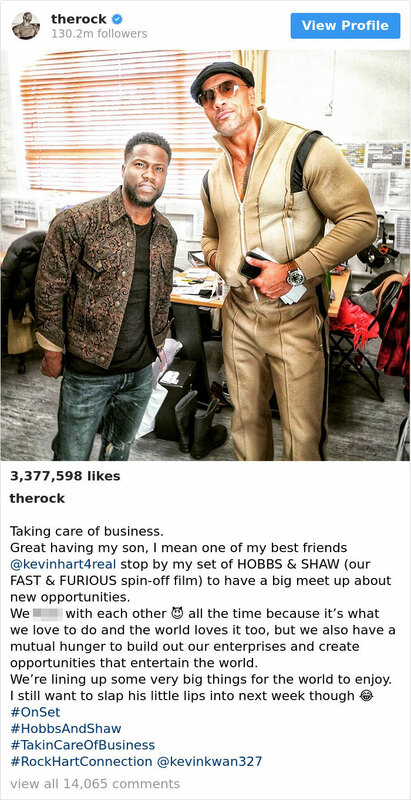 In recent years, these two have been really fun to watch both on (Jumanji, Central Intelligence) and off the screen. 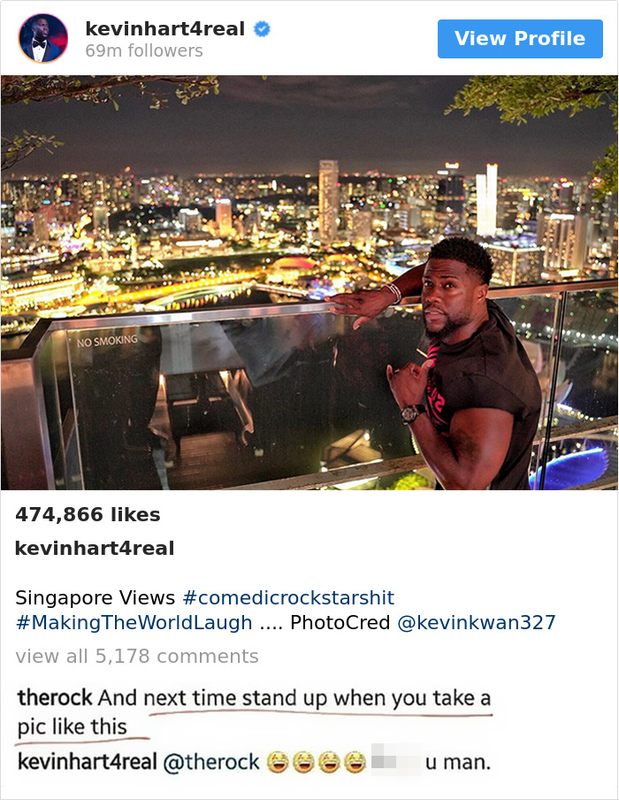 Focusing on the latter, continue scrolling and check out how they constantly rib each other.